For roughly a dozen years, I have been the designated reviewer of Northwest wines for Wine Enthusiast magazine. During that time I have tasted, scored and reviewed many thousands of Washington and Oregon wines, along with occasional submissions from Idaho and British Columbia. It’s not really a job, though plenty of work is involved. It’s more of a calling, in the sense that I believe I can put the wines of this region in a global context, point out their strengths, which are numerous, and from time to time cajole a winemaker or two into correcting a perceived weakness. Every review published in Wine Enthusiast that bears the initials P.G. is my work, solely and exclusively. The editors of the magazine have never changed a word or a score, for which I am immensely grateful. Better yet, in their annual Best Of lists, they have repeatedly honored the wines of the region. 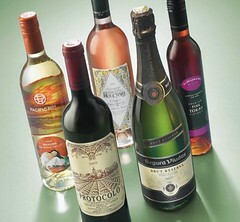 In the November issue, Wine Enthusiast has published its first Top 100 list of the year – the “Top 100 Best Buys of 2011”. Not only has the Northwest made a strong showing, but the number one wine, featured on the cover as well as in the article’s introduction, is a lovely 2010 Riesling from Pacific Rim. Even more remarkable is that the 2009 Pacific Rim Riesling ranked number two in 2010. Of the 100 wines, a third (32) come from the United States, and of those 32 there are 8 from Washington and 3 from Oregon. Better yet, Washington places three wines in the top 15 – truly a remarkable achievement. It is such accolades that raise the bar for all wineries, and enhance the prestige and recognition for the unique quality of Washington state wines around the world. I am immensely grateful to the publisher and editors of Wine Enthusiast for their ongoing support and recognition. As before, all of these wines sell at retail for under $15, and the full list includes wineries from around the world, not just the U.S.A. That’s tough competition. In the next few issues, Wine Enthusiast will publish more Top 100 lists, covering other wine categories. I fully expect to see many more Washington and Oregon wines commended. And as a year end finale, the Seattle Times (and this blog) will publish my own personal Top 100 Washington wines, for the sixth year in a row. Congratulations to all the wineries that made the list, and among the Northwest selections, special praise to Pacific Rim, Hogue Cellars and Arbor Crest, who also made the Top 100 last year. Very helpful, love a good list!